Sorry for the Zero Wing reference, but I was wondering which category the game would go under for CUNY Games Network’s discussion on Categorizing Video Games?? I kid, hopefully no students are playing that game as it was poorly translated when imported from Japan — in the 1980’s! This topic was posted earlier today by Eva Fernandez, who is working with Michelle Faboni on an upcoming student survey at Queens College about technologies students use in and out of school. This discussion got 1o replies in less than 5 hours and not just to the author, but to each other! 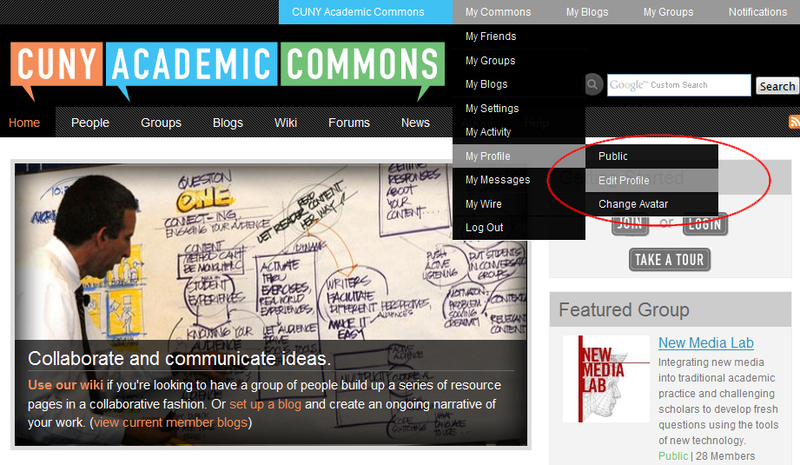 Feedback was built upon through open collaboration, which is exactly why the CUNY Academic Commons was created. Resources such as The Civil Potential of Video Games (White Paper), from the Pew Research Center, are now accessable to members from different academic backgrounds. All because a member with this resource was able to share it through a hyperlink on their forum post (yay)! Since CUNY Games Network is a public group, members throughout the CUNY Academic Commons Community and visitors alike can access this information. While some groups on the Commons were created specifically with private/hidden membership in mind, group administrators should be aware of the positive collaborative aspects of public group access. The Categorizing Video Games discussion is just getting warmed up, so tap into your inner gamer and post your thoughts! So you signed up for the CUNY Academic Commons with your full name and required CUNY email, but you would prefer to be called Susie instead of Suse ( <–insert funny Seinfeld quote here–> )… or you would prefer to display your yahoo email address for members to contact you. This video from Screen Toaster will guide you through the easy steps and will also show you how to change your email account where you receive notifications through the Academic Commons. If you don’t want to view the video, you can also just follow the easy steps below. 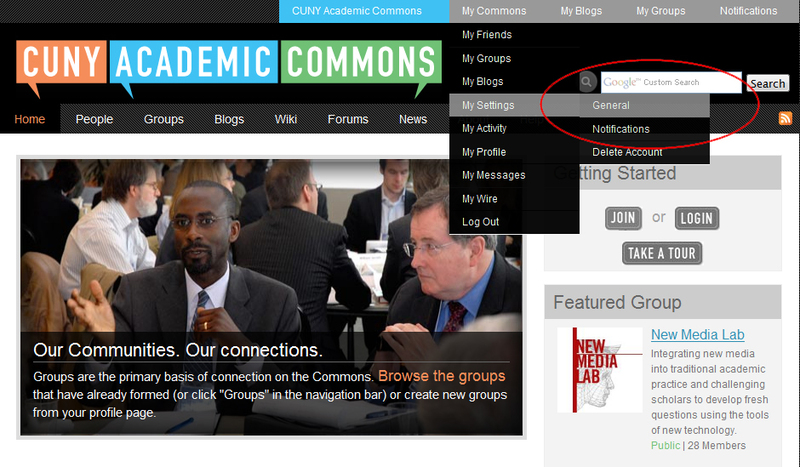 *Note, this will not change the address where you will receive notifications through the Academic Commons.